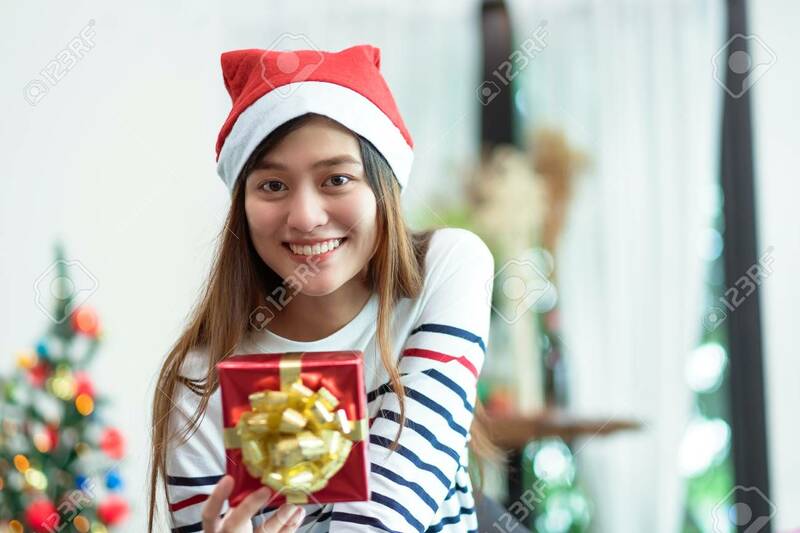 Asia Woman Smile Holding Gold Xmas Gift Box At Holiday Party With Decoration Flag At Background,present Giving Christmas Party Present,winter Holiday Happiness Moment. Lizenzfreie Fotos, Bilder Und Stock Fotografie. Image 113445126.